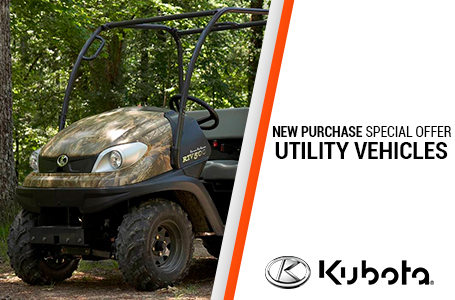 Tough: 24.8 HP Kubota Diesel Engine- Power when and where you need it. Even after the sun disappears, you can rely on the powerful 24.8 HP diesel engine to keep you moving forward. Kubota-built and worksite-proven, these 3-cylinder liquid-cooled diesel engines have a well-earned reputation for dependable performance even in the harshest worksite terrains.VHT-X (Variable Hydraulic Transmission)- Kubota has more experience in variable hydraulic transmissions than any other Utility Vehicle manufacturer. 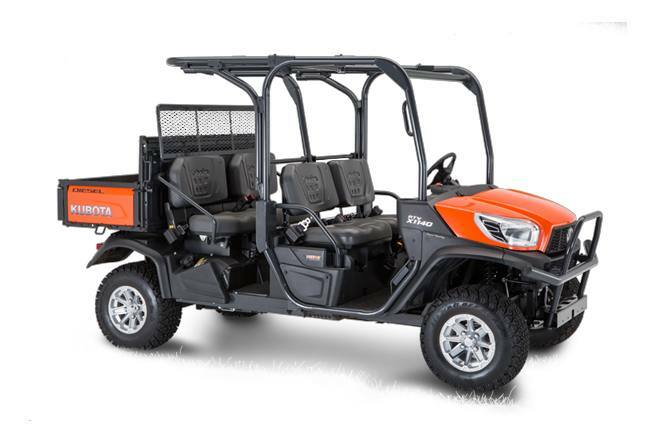 Kubota's advanced VHT-X offers a wide torque band, advanced designed HST motor and large oil coolers to boost durability and increase performance.20% Larger, Clog-Resistant Radiator- Open the hood and you'll find the radiator and air-intake located high and up front, where the air is cleaner and cooler. This improves both radiator performance and simplifies maintenance. Kubota's wide fin pitch design minimizes clogging, further improving radiator performance. Exceptional Ride: Front & Rear Independent Suspension- Regardless of the terrain or load, independent suspension on all four wheels ensures a truly exceptional ride. 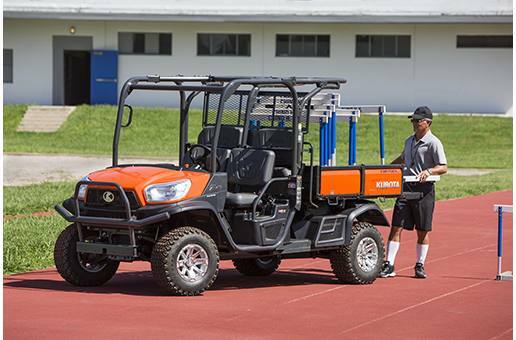 Kubota's Extra Duty IRS (Independent Rear Suspension) technology also sets a new standard for durability. 10.8" Inch Ground Clearance- The new X1140 raises the bar on ground clearance - to a full 10.8" with 8" of suspension travel - letting you glide over the bumps rather than through them. Limited-Slip Front Differential- True 4WD drive with a limited-slip front differential and a locking rear differential help reduce wheel spin to a minimum, giving you greater control and a smoother ride on rough or muddy terrain. Dynamic Braking - You'll feel more secure, especially when traveling down long inclines, knowing that dynamic braking is providing additional braking power and greater driving control. Alloy Wheels (Optional): You'll travel in style with these attractive, machine-polished alloy wheels. Clear coating helps keep them bright and shiny.